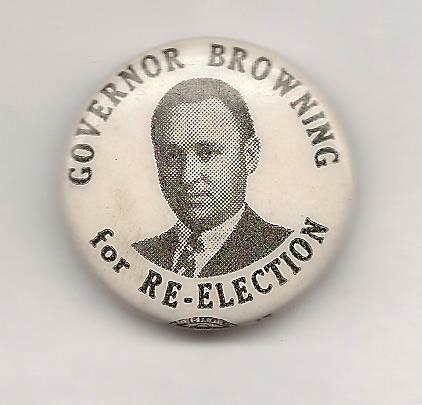 Who is the last lieutenant governor to win election to the Senate? The previous question was … aside from Pennsylvania, what state has gone the longest since its governor was defeated? If you heard the podcast, you’ll see that we included a bunch of caveats. We didn’t include states like Virginia, where a governor has never been defeated because they’re limited to one term. We didn’t include North Carolina, which has never defeated a governor, or Indiana, which like Pennsylvania used to have a long history of one-term-and-out governors. So the answer is: Tennessee. 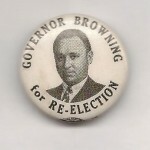 In 1952, Governor Gordon Browning was defeated in the Democratic primary by Frank Clement. And the randomly selected winner to that one was Tom Anderson of Minneapolis, Minn. Tom got that fabulous button.